Please note that the content of this book primarily consists of articles available from Wikipedia or other free sources online. 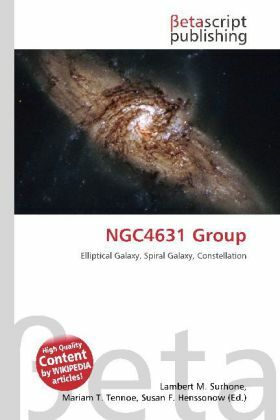 Galaxy groups and clusters are the largest known gravitationally bound objects to have arisen thus far in the process of cosmic structure formation. They form the densest part of the large scale structure of the universe. In models for the gravitational formation of structure with cold dark matter, the smallest structures collapse first and eventually build the largest structures, clusters of galaxies. Clusters are then formed relatively recently between 10 billion years ago and now. Groups and clusters may contain from ten to thousands of galaxies. The clusters themselves are often associated with larger groups called superclusters.